RAYMOND WEIL, the luxury Swiss watchmaker, has produced 60 limited edition BRIT Awards timepieces that will be gifted to all performers, presenters and artists attending the ceremony. An alternative variation of the watches will be available to purchase nationwide via high-end jeweller and watch retailers. 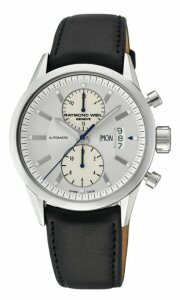 The soon to be launched limited edition BRIT Awards 2011 Men's Freelancer 7735-STC-60001, has a 42mm handcrafted stainless steel case, automatic day date chronograph movement, slate grey index dial with steel blued hands, sapphire crystal with exhibition case back, soft black leather strap, selected to reflect the timepiece's stylish minimalism. 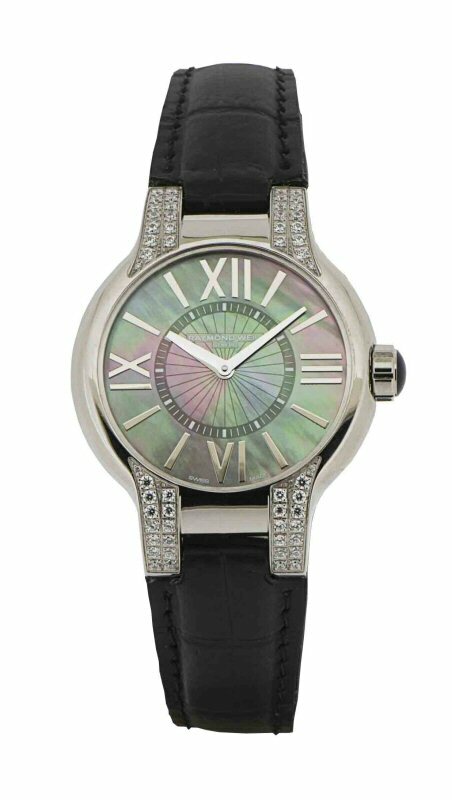 The limited edition BRIT Awards 2011 Women's Noemia 5932-SLS-00297, has a flawlessly elegant delicately curved 32mm stainless steel case set with 72 diamonds and black mother of pearl dial. The black leather strap adds to the final harmony of the design. Each watch is engraved with this year's BRIT Awards logo and an individual number. "We are delighted to continue our partnership with The BRIT Awards, which has now run for four consecutive years. 2010 has been a phenomenal year for RAYMOND WEIL within the music industry having created a variety of musical platforms and working with some of the world's most recognised artists. RAYMOND WEIL is honoured to once again work with The BRIT Awards in rewarding musical excellence. We are especially delighted to be launching the Men's and Women's limited edition watches that mark such an important occasion in the music industry calendar." – says Laurie Milne, Marketing Director, RAYMOND WEIL UK. RAYMOND WEIL has become internationally recognised as the number one watch in the music industry with over thirty years of involvement across all musical genres. Once again RAYMOND WEIL has succeeded in reflecting the image of today's musical talent while remaining true to its traditional values.